Welcome! All Island Music students have access to our new online lesson portal. Here you are able to view, edit, and manage all aspects of our student account. Have multiple students? You’ll be able to link them once you get all set up. We are so excited with all the great updates we are making to the lesson program. Please feel free to stop by the front if you have any questions regarding our new program. Please note that our Lesson Agreement has been updated as well. You may view this policy here. When you have chosen the ideal pricing option stop by the store to arrange for payments starting June 1st. At this time, we are not allowing for the purchase of contracts online. 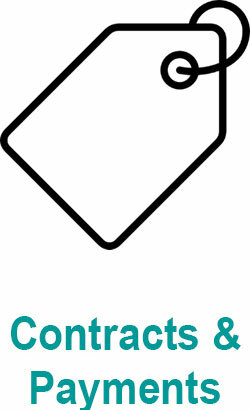 However, after June 1st you will have the option to purchase additional contracts through your student account here. Setting up your contract only takes a minute! We will need an email address and a credit card to be used for payments. *Please note that only students who are currently scheduled are able to login at this time. If you are a prospective student or a former student who has not taken a lesson in the last month, please contact us at 301-392-3960 to get set up with your new account. If you have time while setting up your contract, we will have you sign in to your new student account. However, you can also do this by following these simple login instructions here. We are happy to be able to offer our lesson students the flexibility and convenience of online scheduling and payments via MindBody Online. Make sure to keep your contact information up-to-date so that we can pass along important information to you in a timely manner. Check our your communication settings to edit how you would like us to contact you for lesson confirmations, closings due to weather, or wait list openings! Don’t forget to add in your birthdate for a nice birthday surprise! Our online schedule now allows students, parents, teachers and staff to check our lesson schedule 24/7 in real-time. From My Schedule you are able to confirm lessons, cancel (early or late) lessons, and reschedule. Students who have set up their initial enrollment contract with our lesson coordinators will be able to edit their payment options, renew their contracts and make account payments. Eventually, we will be offering the ability to purchase new enrollment contracts online. In the meantime, see one of our friendly lesson coordinators to setup a new contract.